We realize that a great many American shoppers will begin shopping for Christmas this week and especially immediately after Thanksgiving. Despite Target’s denial that men entering women’s rooms is a problem, the reality remains that it is a major problem. We have the proof. On October 16, a mother and her children went to a Target in Woburn, Massachusetts, to do some shopping. While inside the store, a man followed the mother’s 10-year-old daughter into the women’s restroom and offered her candy, commented on her clothing, and reportedly tried to get into the stall that the little girl was using. Target is hoping you won’t care that they allow men into women’s bathrooms and changing rooms and will do your Christmas shopping with them. AFA knows that you do care. Any company as large as Target can withstand a short-term loss of sales. That’s where Christmas shoppers come in. Target is banking on this Christmas season to turn a huge profit for 2018. Let’s hold firm to our conviction that men have no place in women’s restrooms and dressing rooms and continue our pledge to boycott Target stores, especially through the Christmas shopping season. 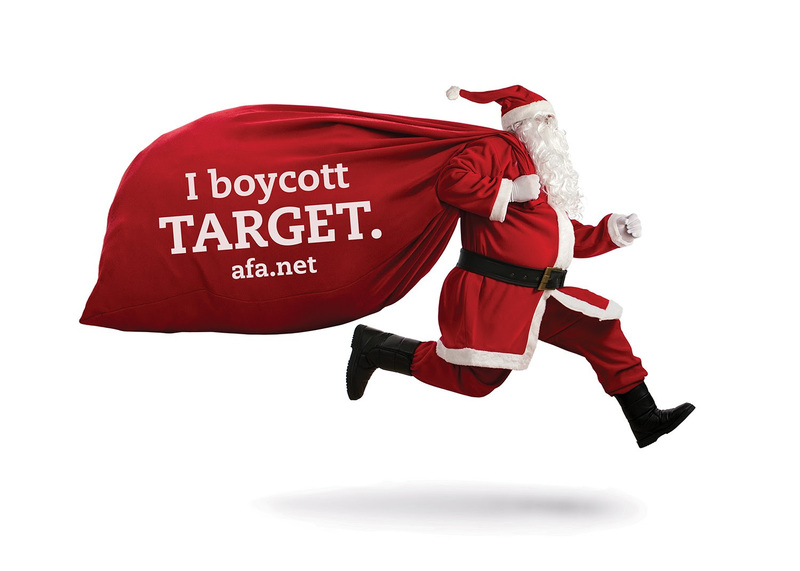 Support our ongoing efforts to promote the Target boycott. Make your tax-deductible donation today! Will you share this with just one person? We are VERY close to reaching the 1.5 million signature goal on the Target boycott. Your help is critical as we approach the one-year anniversary since we launched the boycott. At the time I send you this email, 1,484,630 people have pledged to boycott Target until it reverses its dangerous policy of allowing men into women’s restrooms and dressing rooms. You can see the very latest count here. Once we reach 1.5 million, I will personally deliver the signatures to Target’s headquarters in Minneapolis, MN. Just how dangerous is Target’s policy to its customers? Just last month, a man was allowed inside a Tennessee Target store dressing room without any restriction at all. Help us reach the 1.5 million signature mark. Please, please….forward this email to just ONE FRIEND who you think should know that Target allows men in women’s restrooms and dressing rooms. Forwarding it to just one friend will help us reach our goal of 1.5 million pledges. Have you heard about what happened at Target? 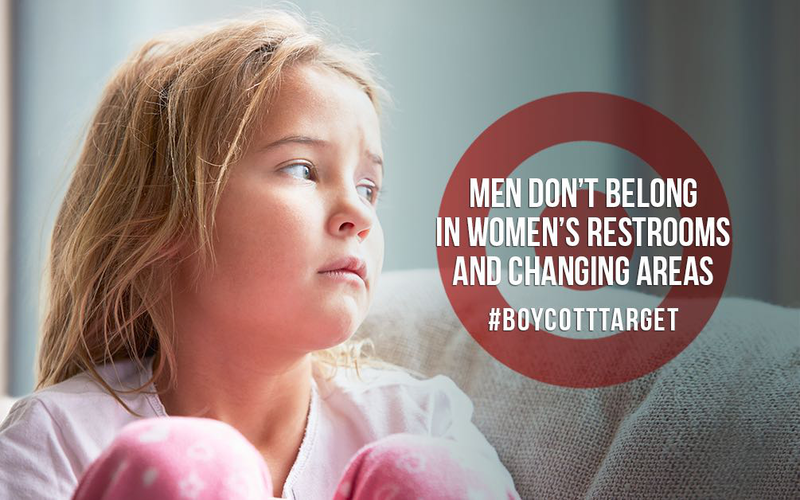 I’m boycotting Target…and you should too! Target is not a safe place for women and children. Secondly, reach more friends by sharing this on your Facebook page. Thirdly, if you haven’t signed the boycott pledge, please sign it today!